Popular mexican plant with long weeping branches with dense blue-green leaves. 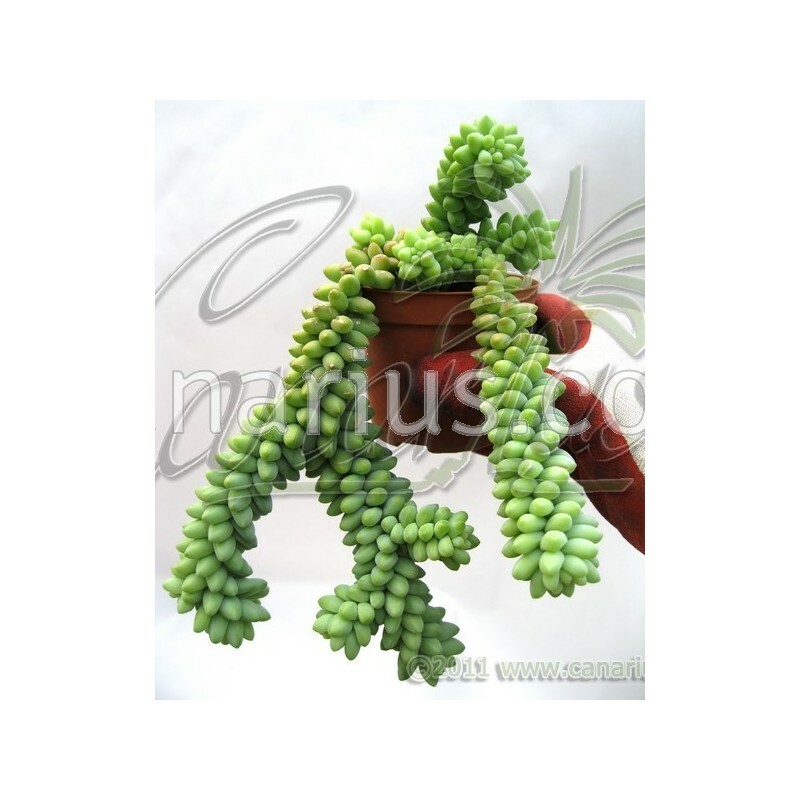 Sedum burrito is great in pots or hanging baskets, because the cascading chains can get 1 m long or more. It naturally hangs from dry cliffs in Southern Mexico. 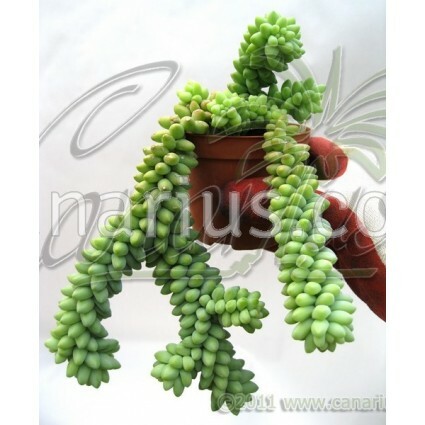 Sedum burrito is related to S. morganianum but has more compact, shorter bluer leaves. Sedum morganianum and Sedum burrito were both found for the first time at plant nurseries in Coatepec, Veracruz , in Mexico, the first by Eric Walther in 1935 and the second by Reid Moran in 1975. They were unknown in the wild until recently: read more here: The Sedum Morganianum Habitat Rediscovered.